Products Archive | Superior Quilt Co. The Superior Quilt Company supplies bulk feathers to consumers and businesses that are looking to create their own products. As a leading supplier of quality bedding products for over 20 years, we can provide the feathers and down that you need in large qualities. We have the highest quality of Duck Down and Goose Down available. Down and feathers have been treated to kill all bacteria and allergens. Choose from our selective range, all types and grades from feather to high down content. 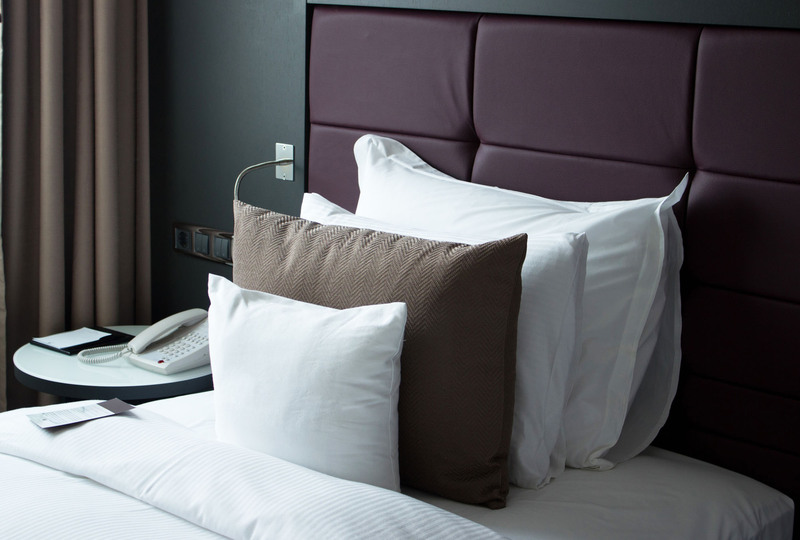 All of our pillows meet a high standard for quality. These products are made in Australia from imported materials. Available in Standard, King and European sizes. Special sizes are manufactured upon request. Our Microsoft Pillow is non-allergenic and hygienic for allergy and asthma sufferers. The Microsoft fibers don’t flatten, tangle, lump or mat down. The Microsoft fibers can be easily restored to it’s original shape even after extended use. Packaging: PVC wire bag with colour insert. Also available in nylon burgundy bag with silver print. Our feather and down mattress toppers are a combination of 10% duck down and 90% duck feather. These toppers are filled to capacity offering an alternative to an underblanket, ensuring an extremely comfortable and relaxing nights sleep. Fitted with corner straps to slip easily over the mattress. These are becoming very popular with major hotels and bedding retailers. Our Microsoft Quilts are non-allergenic and hygienic for allergy and asthma sufferers. The Microsoft fibers don’t flatten, tangle, lump or mat down. Box wall construction ensures even spread of warmth and won’t leave you with cold spots. The Microsoft fibers can be easily restored to it’s original shape even after extended use. QUILT COMFORT SYSTEM – Italian Designed Contemporary Stretch Knit Fabric. -Co-ordinated Stretch Knit Border Fabric. -Premium Wool Fibre Blend. – Hypersoft Peel Foam. -Luxury Peel Foam. -100% Pure Natural Latex. MATTRESS COMFORT SYSTEM – Visco Elastic Memory Foam. -Super Soft Sheet Foam. -Versare Non Woven Inner Panel. -Luxury Sheet Foam. UNDERSIDE – Non Slip Fabric. SUPPORT SYSTEM – 5 Zone Tempered Pocketed Coil. -Individually Glued and Sewn Pocketed Construction. -High Density Foam Box Construction. -Zoned Coil Configuration. FOUNDATION SYSTEM – Flexmesh Reinforced Steel Grid Construction. -10 Slat Timber Platform. -Manufatured Using Kiln Dried Plantation Timber. -Fully Glued and Screw Nailed Timber joints. We have a range of sleeping bags that will suit your needs. Different outdoor conditions determine the type of sleeping bag required. Our range covers the more expensive down filled bags to the more affordable synthetic bags. We believe our range caters from the family camper to the high altitude hiker or mountaineer. These sleeping bags are available in a fully open style, with or without a hood. Our pure wool two layer underblanket is of the highest quality and compliments our wool range. A double layer construction designed to cushion your body easing pressure points and alleviating aches and pains. The top layer is a thick and puffy pile of pure wool that’s soft to sleep on. Beneath lies additional layer of new wool to enhance the cushioning effect. A hidden layer is quilted into a sateen cotton casing. You can reverse the underblanket and sleep on this side in summer. Fitted with a skirt it fits snugly around your mattress holding the under blanket neatly in place. Wool fibres absorb body moisture and dissipate it into the air so that you don’t feel hot and clammy during the warmer months. The fibre also trap and retain air keeping you warmer in winter. Filling of the Latex Pillow is 100% latex rubber. 50/50 poly cotton cover. Hypo allergenic. Anti-microbial resistant. Dust mite resistant. © 2016 Superior Quilt Co. Website designed by ImagiWorks.